During one of my visits to the Lake District I stayed in a lovely cottage on Lake Windermere. 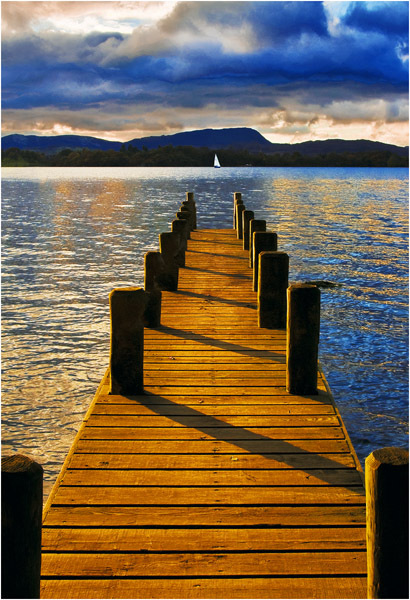 The cottage had direct access to the lake with a private jetty - perfect for foreground interest and lead-in lines! On my first two evenings there, the sunsets were quite spectacular! The cottage is available for rent - if you would like details, go to my links page.